As the launch client of the Pilatus PC-24 on the Old Continent, Jetfly will be at the heart of the news headlines this September with the entry into service of this first new twinjet in Europe. 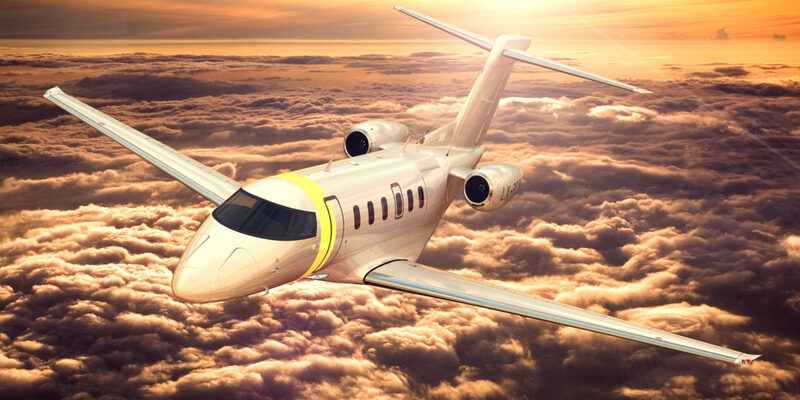 The arrival of the PC-24 which heralds a small revolution in the world of business aviation, also marks a significant development within this discreet company in the world of operators. Jetfly’s CEO, Cédric Lescop, entrusted us with his vision of the market and his strategy to come. Interview. Can you give us a brief reminder of the history of Jetfly? Jetfly was created in 2000 by two entrepreneurs on the same model as Netjets, using a private flight model, but with turboprops, in this case the TBM 700 and 850. 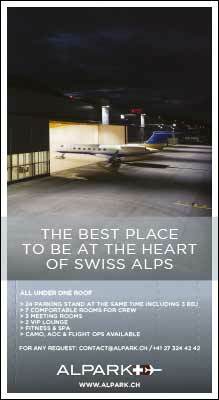 In 2003, the company added the PC-12, as well as the Piaggio P180, to its program. Maxime Bouchard, who specializes in managing banks, and I, an airline pilot, bought the company in 2009. This complementarity enabled us to raise funds and carry out a complete takeover of Jetfly in 2010. What were your first steps following this acquisition? First of all, we decided to simplify the model and streamline the fleet for greater efficiency for our customers. In fact, we stopped sales on TBM and Piaggio, while honouring the contracts through to the end. We only continued with the Pilatus PC-12. Today, we have a fleet of 22 aircraft of this type. 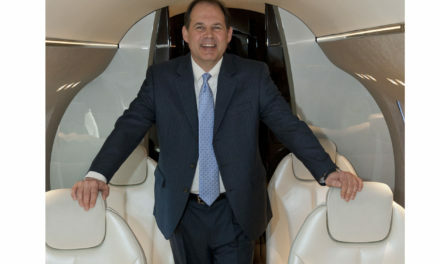 At the same time, customers on Piaggio stayed, while expressing a need for a jet. This resulted in the creation of a fleet of three CJ3s to meet their demands until the arrival of the PC-24. Why did you abandon the TBM 850? It’s a great plane, fast and very economical. But not enough compared to the PC-12, which can carry eight passengers. Above all, we had to simplify the fleet in order to optimize all our processes, in terms of maintenance and crew training. This allowed us, of course, to lower our operating costs, and thus to keep prices competitive. And we did this while increasing the level of safety by adding a second pilot, without raising prices for our customers. 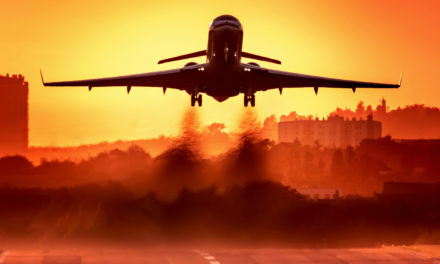 Following the approval of the single-engine public transport scheme issued last year by the European Aviation Safety Agency – EASA – will you deploy on commercial flights? We have put in place an air operator certificate (AOC), which should take effect this summer. However, we do not expect a revolution in our development plans because since the beginning, we have not seen the craze expected by some professionals on this type of flights on demand taking hold. It should be noted that there have been only four new structures created since the introduction of this new regulation. The operating cost of a PC-12 is not very different from that of a Mustang or a Citation CJ2, with two qualified pilots. The jet going a little faster, the charter market for the single turboprop engine rarely remains competitive during a quote request. And this is true even if, in the case of PC-12, the number of passengers it carries (8 places) is higher than that of a jet and it allows to service much more airfields. In the end, we still realize that the competitive advantage between the jet and the mono turboprop is not so obvious. It must be recognized, however, that this EASA directive is a great reward for the sector. It proves, if it were still needed, that aircraft of this type are sufficiently reliable to carry out such operations. It is also important to note that the accident rate involving single turboprops is lower than that of Citation CJ and Phenom type jets. It was essential for us, as a European operator, to have this AOC, especially for our customers and the authorities. To show our customers that we are a healthy and safe company and that we necessarily have the capacity to operate our aircraft in a very restrictive context. Jetfly has always worked at the level of requirement of air carriers, with two pilots in the cockpit, but especially ensuring the maintenance of the competences of the crews with mandatory training every six months. To do this, we have an agreement with Apache Aviation Training & Services for the training of our crews on Epsilon. I know the price of an accident and I know that our customers know the seriousness of our business. That’s why we have very low rotation rate among our customers : after ten years, 87% of our owners are still while 75% of them renew their contract for ten years. A beautiful message of trust and loyalty. Jetfly is a unique model with both the advantages of the private and the quality and seriousness of a public transport operator. We are the only ones able to operate our planes everywhere in Europe, even on some difficult airfields, like Courchevel for example. How do you manage your crews to keep them in Jetfly despite a strong demand for recruitment at European and global levels? I think we have to be humble, because it is true that we can expect more rotation in the years to come. So far, we have managed to retain our crews in a market that, we must admit, is very complicated. But out of 100 pilots, only a dozen left last year, most to the airlines. I think that we have cultivated a “good father-figure” governance at Jetfly and, above all, made our pilots feel at home. 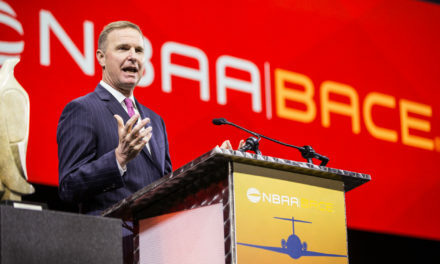 For example, we offer a perspective of development with the arrival of the PC-24 and a certain security of employment, as well as a work schedule, which is very rare in the business aviation community. 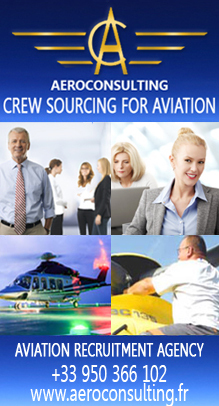 Pilots have the opportunity to work from three bases – Luxembourg, Geneva or London. We also have a reputation as professionals wherever we go. This management pays in the long-term, both with regard to employees, but also ultimately the customer. Can Jetfly capture a new customer base in a hyper-competitive market? We are growing because we are investing in new and growing markets like the UK. At first, we had a lot of French speaking expatriates in London. But today, we are essentially reaching a clientele 100% Anglo Saxon. The second largest market for us is Germany. In a single year, we welcomed a dozen customers from this country. Success in Switzerland is similar to the UK, Germany and other countries. How is your clientele broken down? There is a clientele who loves the PC-12 and will do 80% of its flights with this aircraft but who will be delighted to fly to Marrakech or Istanbul with the PC-24. On the contrary, we have customers who mainly want to fly in a jet, but who, for the occasion, will be delighted to go to Gstaad with the PC-12. We are the only ones to offer this flexibility which allows access anywhere in Europe and in the near region. 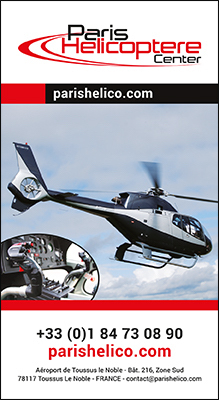 Four years ago, we bought the Part 145 Pilatus Specialized Maintenance Center in the UK to provide this service internally. We have about twenty mechanics who divide the work on a line that can accommodate twelve PC-12. This is a choice we made quite early on, because of the importance of our fleet. And we could not afford, with about sixty flights a day, to be dependent on the schedule of outdoor maintenance centers. We have also set up a team of mobile technicians able to move 24/7 all over Europe to troubleshoot our machines in case of problems. Through our maintenance center, we also used to carry out work for third parties. But we recently decided to refocus our skills only for the benefit of our own fleet. Can you tell us more about the arrival of the PC-24 at Jetfly? We immediately focused on this exceptional jet, and become the European launch customer of the PC-24 with an initial order of four machines. The plane conquered us in more ways than one. First because while belonging to the light jet category, this $11 million airplane has a cabin identical to that of Citation XLS, and landing and take-off performances almost identical to those of a PC-12. We will be able to reach over three times more airfields than conventional aircraft in the same sector. 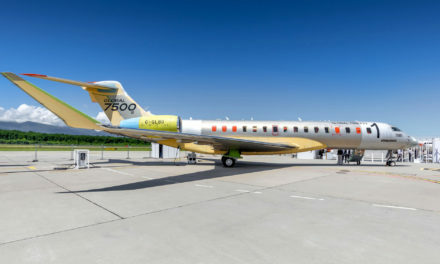 For example, the PC-24 will be able to land and take off from La Môle (Saint-Tropez) with eight passengers on board while keeping the public transport coefficients. And the first feedback from US customers, who have already logged more than 300 hours of flight time, is more than encouraging for the future of this aircraft, which I think will be a “market killer”. The entry into service of our first aircraft is scheduled for September. It will be followed by a second in November. Our pilots are currently training in the United States at FlightSafety. The PC-24 will also carry a new distinctive livery made especially by Philippe Starck. 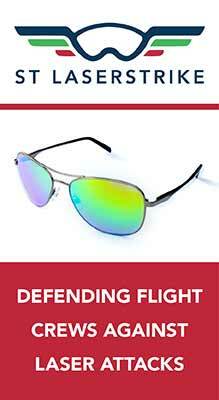 It picks up on the codes of the PC-12, but with modernized colors. The first two aircraft have been sold and the third aircraft is being marketed. Following the success met, we are already counting on an entry into service of this aircraft in May 2019. How is your customer base spread for this new aircraft? The arrival of PC-24 is concomitant with the arrival of new customers, which tend to be leaders. And 20% of current customers are interested in making the transition from the PC-12 to the PC-24. Nevertheless, we will always have two programs because they are complementary. A PC-12 client may have access to the PC-24 with an unsecured ratio of availability if it does not take a share in the twinjet. Regarding the rates, we set the share on PC-24 to €1.37 M for 1/8th of the device, with access to 70 hours of flight and a monthly payment to €12,500 with one hour of flight at €2,500. The arrival of PC-24 projects you into the future. How do you see the development of Jetfly in the medium term? In ten years, we foresee Jetfly having a sixty aircraft fleet (35 PC-12 and 25 PC-24) and more than 350 employees, including 200 pilots.